40 piece twistable colouring set with 20 twistables coloured pencils, 15 mini twistables crayons, 4 super tip markers and 1 twistable graphite pencil. The Crayola Twistable Sketch and Draw are designed so that when the tips are worn down they don’t need to be peeled or sharpened, just give them a twist to keep colouring! 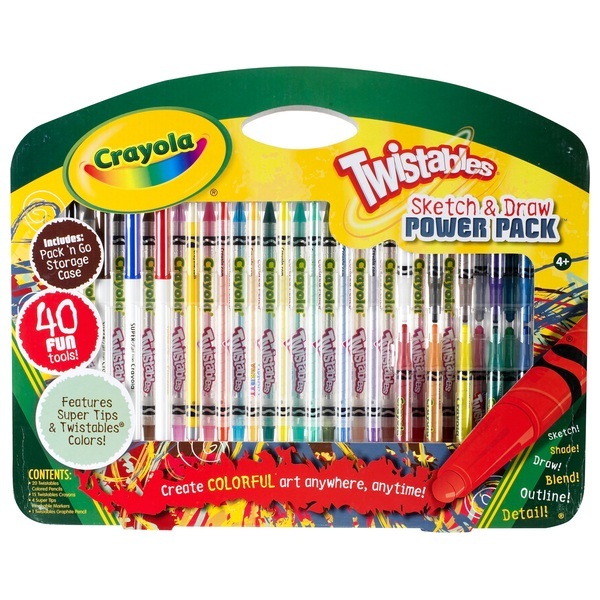 These Crayola twistables are washable ink which has been specially formulated to easily wash off skin and from most children’s clothing.